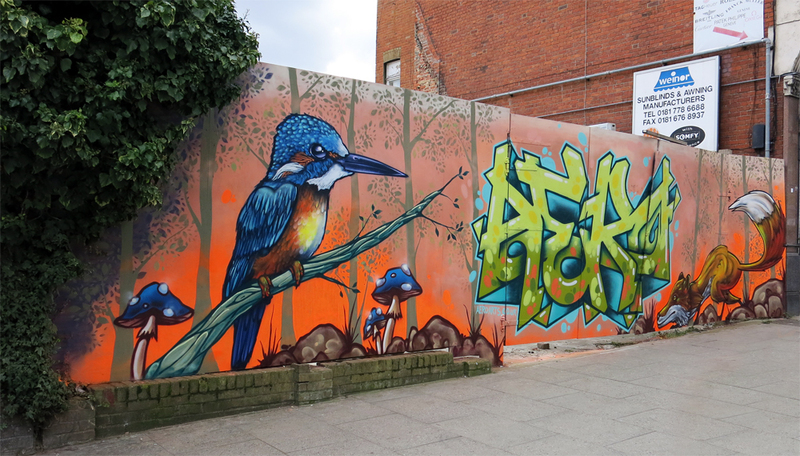 Aero Painted these damaged hoardings on the High St in Sydenham with a community graffiti mural bringing much needed colour and positivity back to the area. 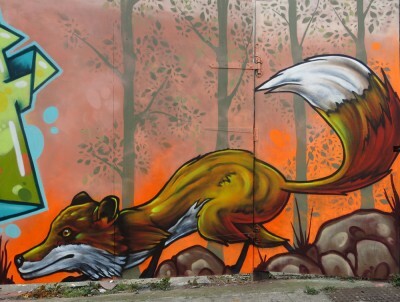 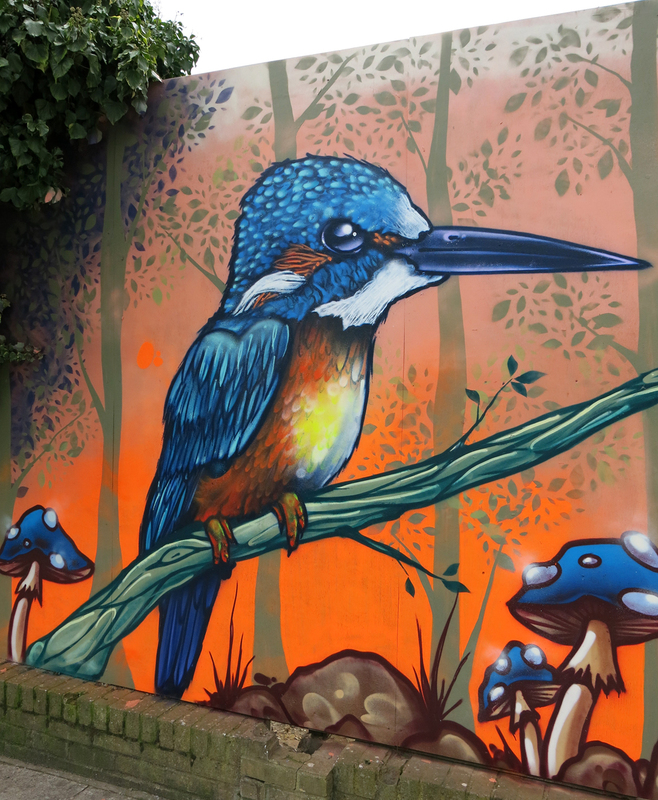 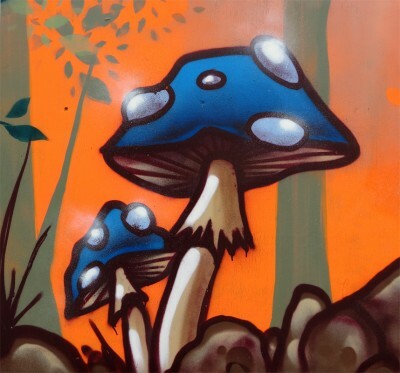 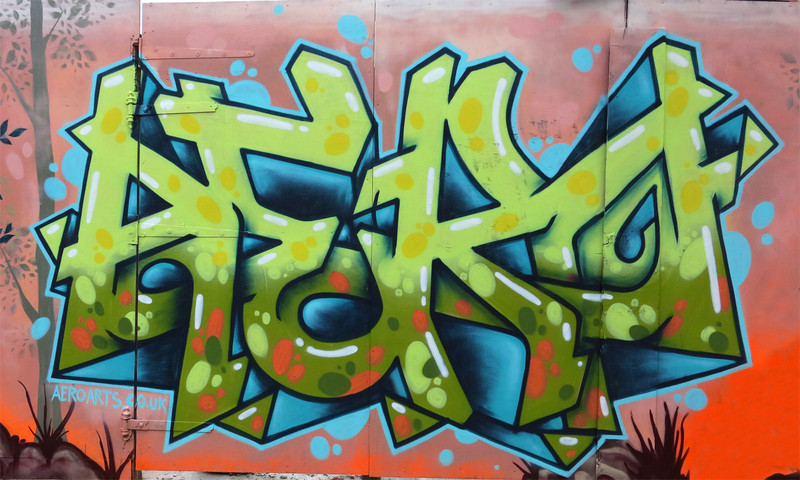 mixing wildlife (kingfisher, fox) and graffiti letters together with a fluro popping woodland background. Posted in local art space and tagged aero graffiti, local art space, london graffiti mural, love graffiti.